I had a good time in the shop yesterday, things seemed to be moving along smoothing. Over the course of four or five hours I wrapped up all of the joinery for the seat assembly and a lot of the prep work for finishing on all of the parts. I started the day by gluing up and waxing the handle of the marking knife I started on Thanksgiving. It feels good in my hand, and I’m going to make a few more to give as gifts to a few friends for Christmas. The construction on this knife follows the approach written up by David Barron in his article in F&C I posted yesterday. He has nothing to fear from me edging into his market — in my opinion his knives are a steal at £25 each. Marking knife in Cocobolo and Brass. 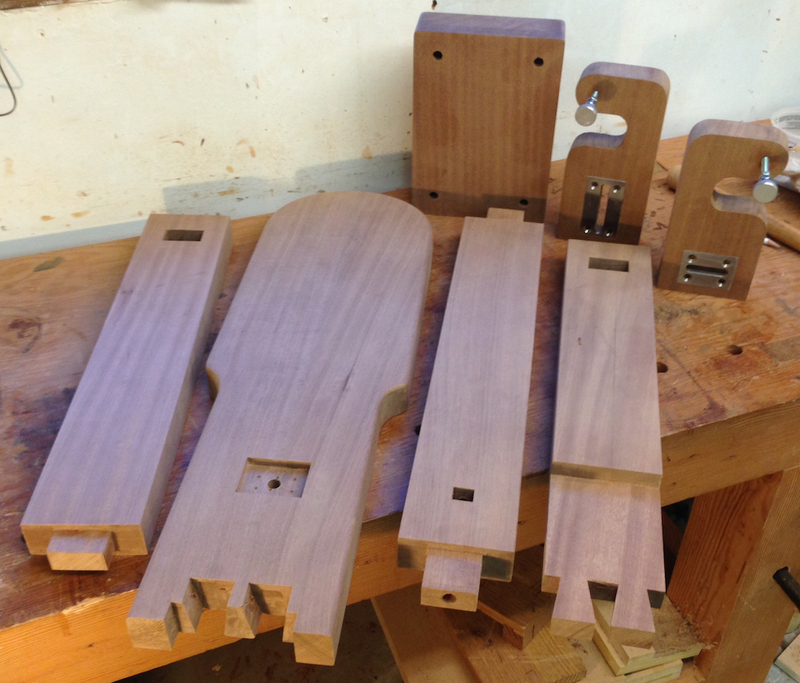 On the Chevy, the first order of business was to saw the tenons and get them fit. There were a bunch of tiny details along the way, like the bolt hole in the center of the tenon and the through mortise to hold the square nut on the stretcher. The dovetail joint at the front of the seat was cut down as planned to make room for the bottom of the clamp assembly. 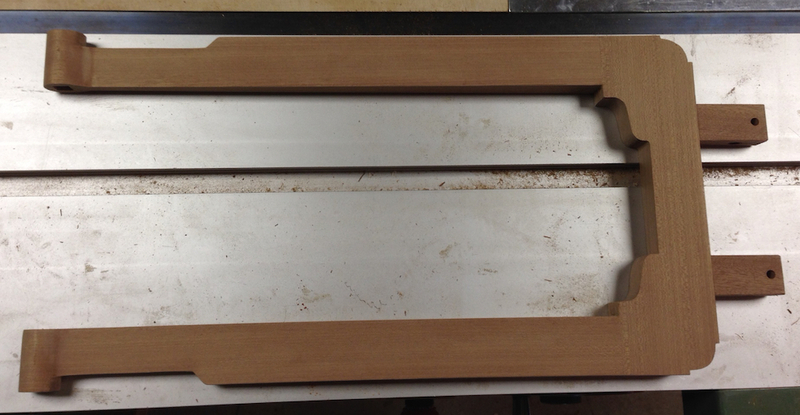 I rounded over the edge of the seat, then sharpened my block plane and chamfered all of the edges on all the parts. A quick sanding with 180 grit it all I’m doing before I topcoat it with some soft of oil/varnish mix – but first I need to glue up the seat and make a couple of other parts. I’m nearly done. What’s left? Glad you asked. The only parts left to make are the foot pedal that operates the clamp, the clampy thing, and the lever that is attached to the foot pedal to operate the clampy thing — I’m calling that the squeezy thing. They are all simple enough parts, and I’m on the fence about doing them in CAD first or not. It’s possible I could finish the fabrication on this gizmo before Monday, but no predictions. I know some of you are rooting for another series of soul searching blog posts as I ponder the meaning of life and the sawdust in my navel as I crawl slowly toward an uncertain completion. You might not be disappointed. Old News (ish), this was mostly done several weeks ago. I had to drill some holes and do a bit of finish prep — now completed. 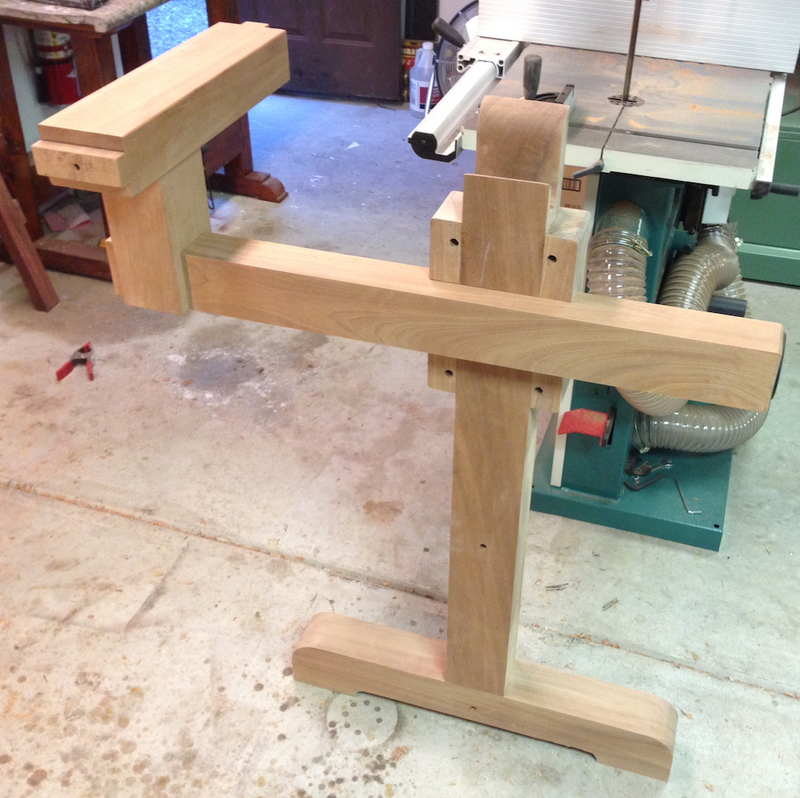 The saw frame was recently completed, I broke all of the edges and sanded it to make sure it was smooth to hold. Shoot, I just remembered I need to turn a knob for this. The seat assembly and other miscellaneous parts. First thing today I’ll glue the seat together, then start on the squeezy thing.